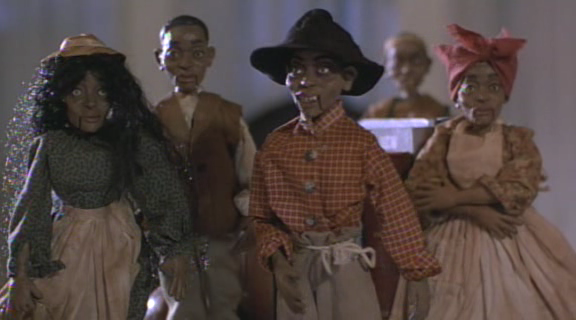 ‘Tales From The Hood’ Collector’s Edition Blu-ray Arrives To Terrify A New Generation!!! 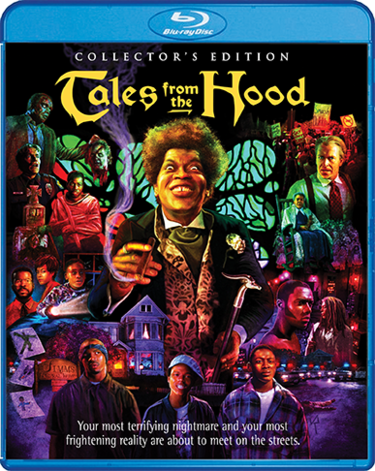 Straight from executive producer Spike Lee (‘Inside Man‘, ‘Malcolm X‘) and director Rusty Cundieff (‘Movie 43‘) comes the 1995 horror cult ‘Tales From The Hood‘ on Blu-ray. Scream Factory and Shout Factory are bringing a collector’s edition Blu-ray to release on April 18, 2017. It’s a place where your worst fears can come to life. A place where it’s hard to tell nightmares from reality. A place where you will discover Tales from the Hood. In Tales from the Hood. 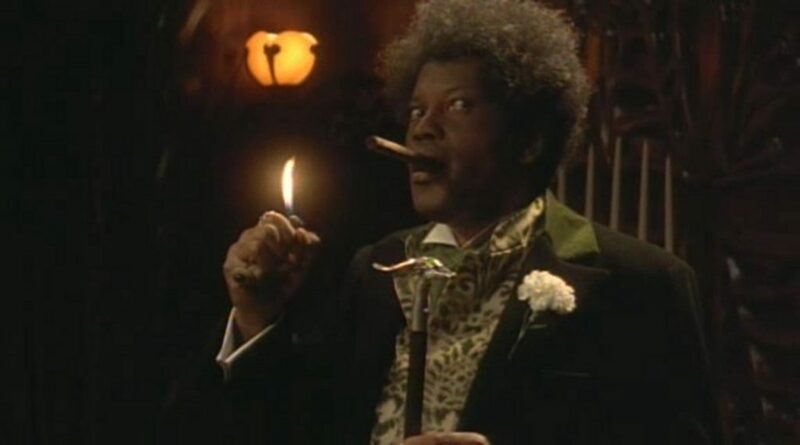 Stack, Ball and Bulldog arrive at a local funeral parlor to retrieve a lost drug stash held by the mortician Mr. Simms (Clarence Williams III). But Mr. Simms has plans for the boys. He leads them on a tour of his establishment, introducing them to his corpses. Even the dead have tales to tell and Mr. Simms is willing to tell them all. And you better listen – because when you’re in the ‘hood, even everyday life can lead to extraordinary terror. Lauded for its take on complex social issues like police brutality and domestic abuse, this cult horror anthology makes its Blu-ray debut April 18th, 2017 as a Collector’s Edition Blu-ray from Scream Factory. Fans can ensure they get a copy of this super special copy by pre-ordering now from Shout Factory. ‘The Greasy Strangler’ Will Lube It’s Way Onto Your List Of Top Blu-rays!!! This entry was posted on Thursday, March 2nd, 2017 at 10:00 pm	and is filed under Film, News. You can follow any responses to this entry through the RSS 2.0 feed. You can skip to the end and leave a response. Pinging is currently not allowed. « Universal Brings James McAvoy’s Brilliant Performance In ‘Split’ To Home Video!! !